Common signs include the parking brake not holding the car properly (or not functioning at all) and the Parking Brake Light coming on. The parking brake cable is the cable that many vehicle’s use to engage their parking brakes. It is usually a steel braided cable wrapped in a protective sheath, and is used as a mechanical means of activating the vehicle’s parking brakes. When the parking brake lever is pulled, or the pedal is depressed, the cable pulls on the calipers or brake drums to engage the parking brake of the vehicle. The parking brake is used to secure the vehicle so that it will not roll when parked or stationary. This feature is especially important when parking or stopping the vehicle on inclines or hills, where a vehicle is more likely to roll and is at at risk of an accident. When the parking brake cable fails or has any issues, it can leave the vehicle without this critical safety feature. Usually a bad or failing parking brake cable will produce a few symptoms that can alert the driver of a potential issue that should be serviced. The most common symptom of a problem with the parking brake cable is a parking brake that does not properly hold the vehicle. If the parking brake cable becomes excessively worn or stretched, it will not be able to pull the the parking brake as tightly. This will result in the parking brake not being able to hold the weight of the vehicle, which may cause it to roll or lean, even when the parking brake is fully engaged. Another symptom of a problem with the parking brake cable is a parking brake that does not function. If the cable snaps or breaks, it will disable the parking brake. The parking brake will not function and the pedal or lever may be loose. Another symptom of a problem with the parking brake cable is an illuminated Parking Brake Warning Light. The Parking Brake Warning Light comes on when the brake is set so that the driver does not drive with the brake engaged. If the Parking Brake Light becomes illuminated even when the brake handle or pedal has been released, then this may be an indicator that the cable may be stuck or jammed, and the brake may not be releasing properly. Parking brakes are a feature found on virtually all road going vehicles and are an important parking and safety feature. 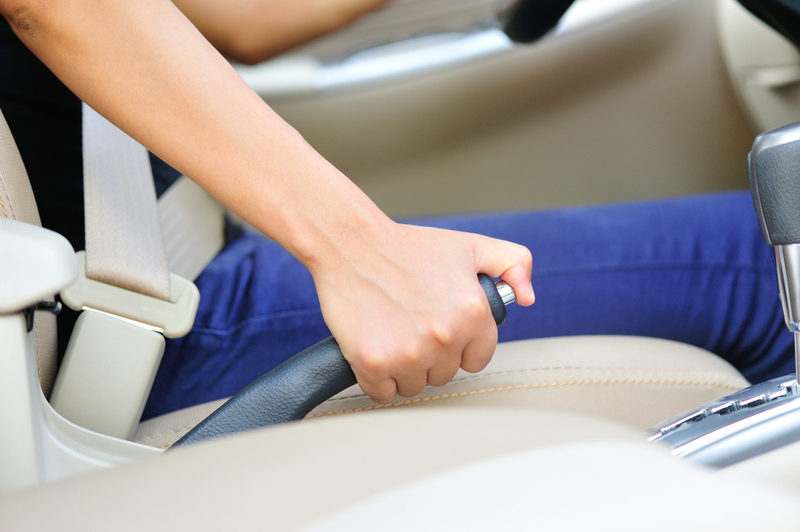 If you suspect that your parking brake cable may be having an issue, have the vehicle inspected by a professional technician, such as one from YourMechanic, to determine if the vehicle needs a parking brake cable replacement. Q: My abs light is on and my brake pedal goes to the floor.